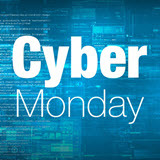 Revit Add-Ons: Cyber Monday Deal – Buy One Emanuel Favreau App and Get Two Free! Cyber Monday Deal – Buy One Emanuel Favreau App and Get Two Free! Purchase Emanuel Favreau's RebuildWalls on the Autodesk App Store and receive his Crowd and Rewrite for free!